Epilepsy is a neurological disorder that affects millions of patients worldwide and arises from the concurrent action of multiple pathophysiological processes. The power of mathematical analysis and computational modeling is increasingly utilized in basic and clinical epilepsy research to better understand the relative importance of the multi-faceted, seizure-related changes taking place in the brain during an epileptic seizure. 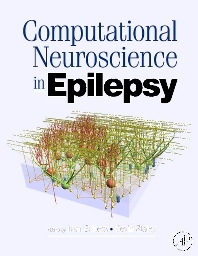 This groundbreaking book is designed to synthesize the current ideas and future directions of the emerging discipline of computational epilepsy research. Chapters address relevant basic questions (e.g., neuronal gain control) as well as long-standing, critically important clinical challenges (e.g., seizure prediction). Computational Neuroscience in Epilepsy should be of high interest to a wide range of readers, including undergraduate and graduate students, postdoctoral fellows and faculty working in the fields of basic or clinical neuroscience, epilepsy research, computational modeling and bioengineering. Basic neuroscientists, clinical neuroscientists, epileptologists, neurologists, biophysicists, computational modelers, engineers, as well as graduate students, postdocs, and professors. 15 Small Networks, Large Networks, Experiment and Theory – Can We Bring Them Together with Oscillations, Heterogeneity and Inhibition? 29 Are Correlation Dimension and Lyapunov Exponents Useful Tools for Prediction of Epileptic Seizures?